Double bill of shows featuring legendary singer and entertainer Frank Sinatra. In 'Live from Caesars Palace', filmed in May 1978, Sinatra performs a number of hit tracks including 'My Kind of Town', 'All of Me' and 'Someone to Watch Over Me'. 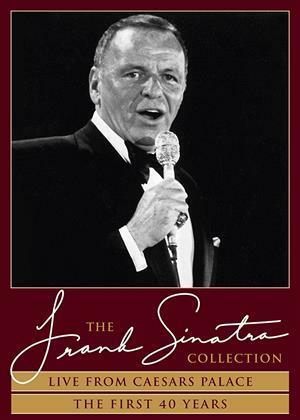 'The First 40 Years' is a recording of the 1979 tribute concert in which famous names from throughout the world of entertainment gathered to honour Sinatra's first 40 years in the business. The show includes appearances from his daughter Nancy, regular co-star Gene Kelly, actor Cary Grant, and features performances from Tony Bennett and fellow Rat Pack member Sammy Davis Jr.